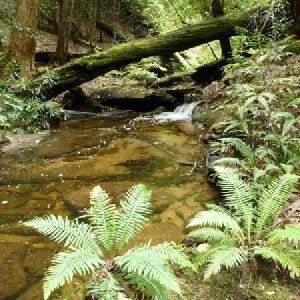 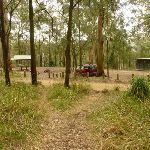 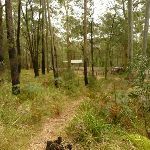 The Bangalow campsite, beside Bangalow Road is within the Watagans National Park and is a small, quiet spot to camp amongst native bush. 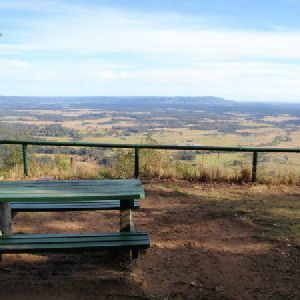 The site has a number of picnic tables, a barbeque, and a toilet. 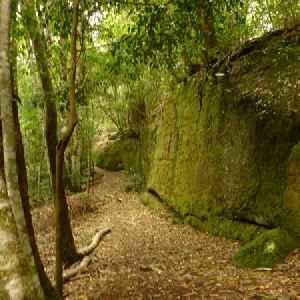 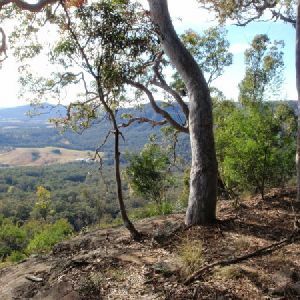 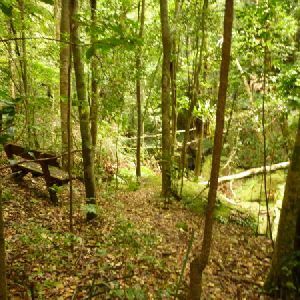 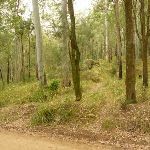 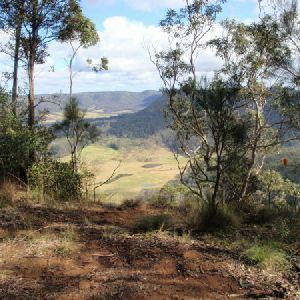 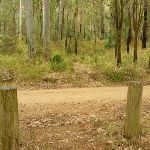 From Bangalow Camping Ground (on Bangalow Rd), this walk follows the track up the moderately steep hill (directly opposite the camp ground). 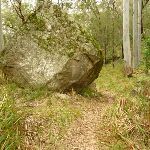 The track is followed for about 100m, to find a small flat area with a large rock. 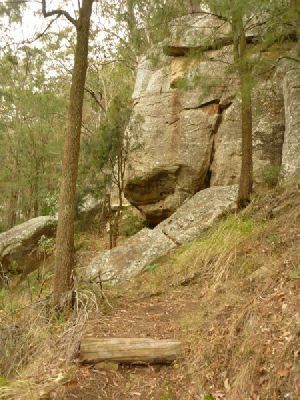 The track then continues steeply uphill with timber steps for about 110m, until coming to an indistinct three-way intersection at the base of Monkey Face cliff. 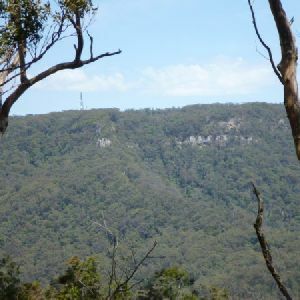 This large and extensive cliff line overlooks the Gap Creek Valley. 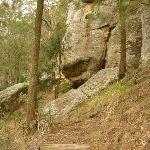 This sandstone cliff is used by rock climbing and abseiling parties, so be aware that people may be above you. 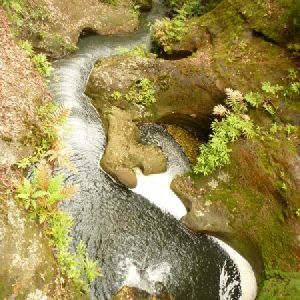 It is possible to explore around the base of this cliff and find attractive rock formations, including caves. 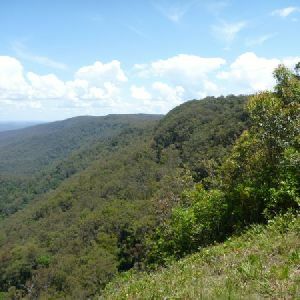 This whole walk, 200m is very steep. 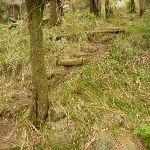 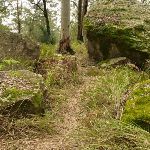 This whole walk, 200m follows a formed track, with some branches and other obstacles. 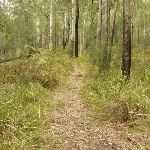 This whole walk, 200m has minimal directional signs. 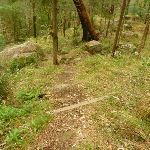 This whole walk, 200m requires some bushwalking experience. 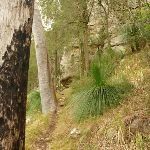 This whole walk, 200m has limited facilities (such as cliffs not fenced, significant creeks not bridged). 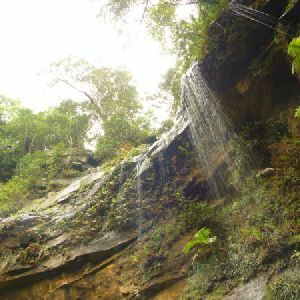 A list of walks that share part of the track with the Monkey Face Cliff Walk walk. 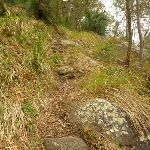 A list of walks that start near the Monkey Face Cliff Walk walk. 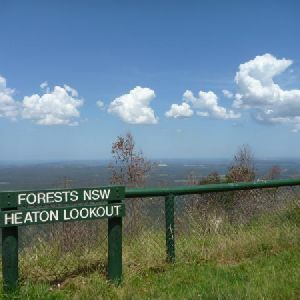 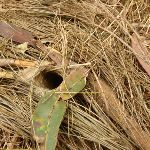 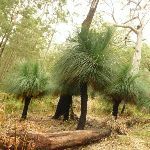 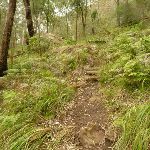 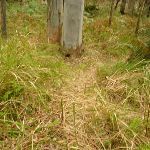 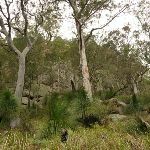 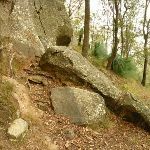 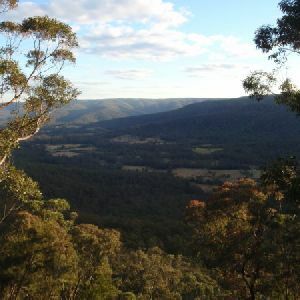 http://new.wildwalks.com/wildwalks_custom/includes/walk_fire_danger.php?walkid=nsw-wataganp-mfcw Each park may have its own fire ban, this rating is only valid for today and is based on information from the RFS Please check the RFS Website for more information.